PLEASE, PLEASE, PLEASE consider joining the Ally’s Angels Team – Butterfly Walk/Run & Flutter Fundraiser for JourneyCare Palliative Care & Hospice for Children and/or making an online donation at https://fundraising.active.com/fundraiser/Ally. This is a VERY MEANINGFUL, AMAZING Butterfly Walk/Run & Flutter. It is a 5K, but there will be a shorter route too. I’d LOVE for family and friends to join us on Saturday, October 18th at Busse Woods Forest Preserve in Elk Grove Village/Arlington Hts. Registration and fun begin at 8am. Butterfly release at 10am. Walk/Run/Flutter begins 10:15. More information below and use the links to the walk to join and/or donate. PLEASE consider joining the Ally’s Angels Team and/or making a donation!!!! EVERY $5 REALLY does help. This is overall the most meaningful, most important walk we have ever done as the funds donated go to JourneyCare for Children. This is a palliative care and hospice program that supports families dealing with chronic conditions and also provide end of life support (if/when it is needed). Over the last few years, JourneyCare has given us hope and TONS of support at home and when Ally is in the hospital. They provide music and art therapy, child life (talking/playing with Melissa), chaplain, social work, a nurse and more. When Ally is really sick, a nurse will even come to our house and do all different labs for Ally and drop them off to the hospital. This has helped us avoid many unneeded trips to the doctor/hospital when at a fragile state and has prevented several hospital stays. We also have healthy nurse visits by JourneyCare to stay up to date on her medical status and help us with small things. 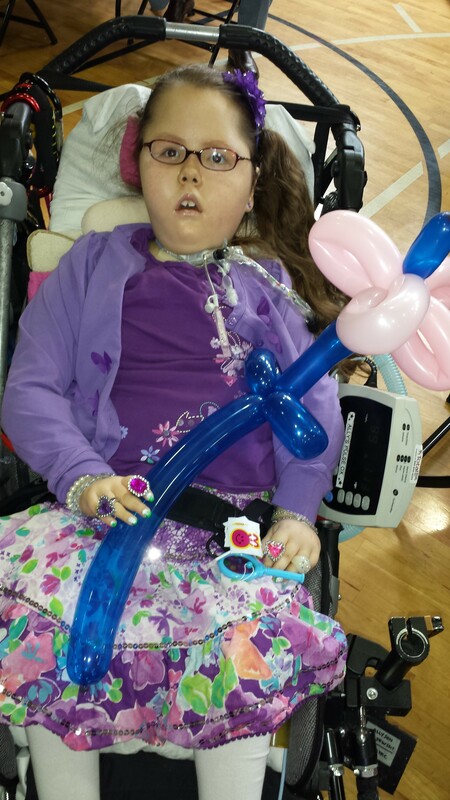 JourneyCare supports our family soooooooooooo much to help preserve Ally’s quality of life and keep her healthy and happy. All of this is at NO CHARGE!!!! Ally’s state insurance does NOT pay for palliative care (support for a chronic condition). Funding is EXTREMELY limited for all children’s hospice and palliative care. I would LOVE to raise as much $$$$ as possible and have TONS of family and friends join us to support JourneyCare in all they have done for our family, other families and also in memory of all the angels. PS — I know we do several walks and fundraisers each year. We do this since soooo many organizations help Ally in different ways providing support and some working towards a cure of SMA. We understand times may be tough and do NOT expect family and friends to donate to every fundraiser, but it REALLY means a ton when you are able to show support by JOINING us at a walk and/or donating even $5. It REALLY does make a difference and your support keeps us going while dealing with SMA and the tougher times. Thanks who can donate NOW and to those who have donated in the past.